Passive House Certified buildings have the potential for significant energy savings. This aligns with the goals of many local energy utilities. 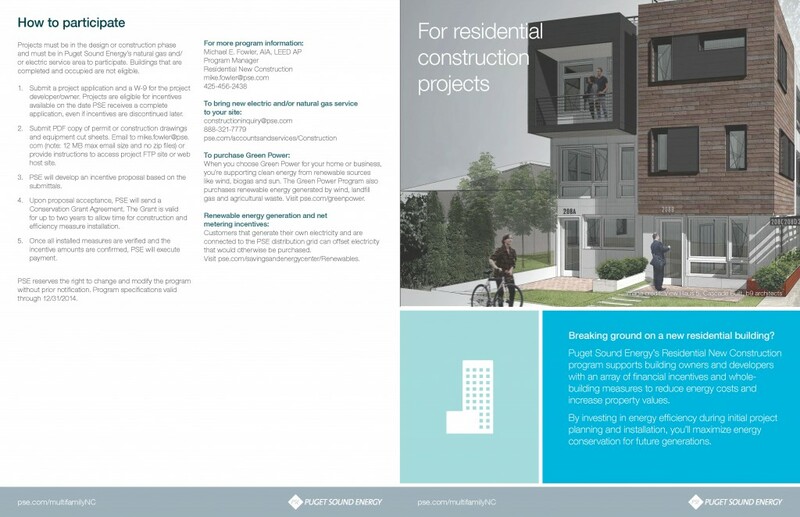 So we consulted with our local utility, Puget Sound Energy (PSE) and found out they have several programs that could provide incentives for Passive House qualified projects, both commercial and residential. On the residential side, according to Mike Fowler, Program Manager at PSE, if a project can meet the Passive House criteria, it can also meet the requirements for incentives totaling approximately $3,275 (for a typical 2,200 square foot house). For more information on this program, check out the Residential Program Brochure. 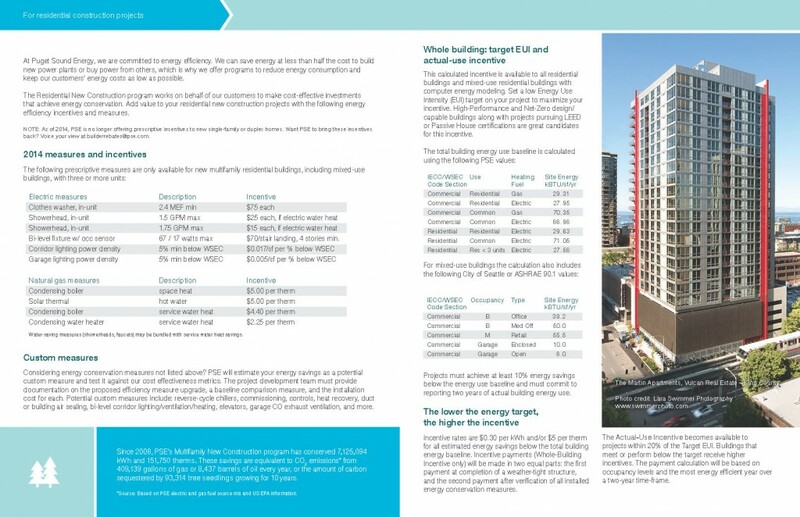 Mike also estimates a Passive House qualifying project at PSE’s current rates for a typical 2,200 square foot house would save $79/month on utility payments. If you consider this over the lifetime of a 30-year mortgage at 4% interest, it would allow an Owner to apply the energy savings of $79/month to a loan. This would translate to an increase in construction budget of $21,000, or $9.55/square foot. This is a significant amount, reducing the financial barriers so homeowners can enjoy the immediate health benefits of living in an energy saving Passive House. These figures are based on current utility rates. If the cost of energy should increase in the future, the benefits of having an energy saving house would be even greater, and provide a level of “future-proofing” against the higher energy costs that some predict.